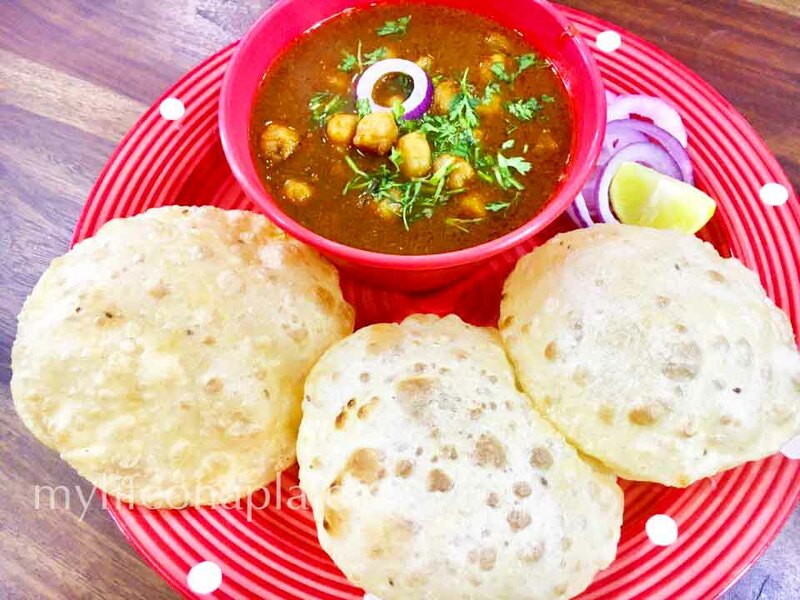 Chole Bhature, Chole Parantha or Chole Naan…. the name evokes an involuntary yummm, doesn’t it? 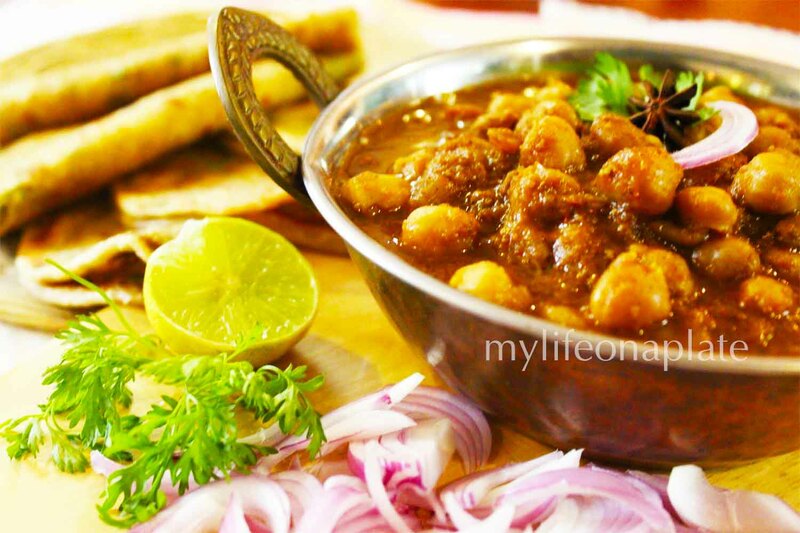 Piping hot Chole with a squeeze of lime and onion slices, sometimes this is all that you need to satisy the craving for lip-smackingly spicy food. 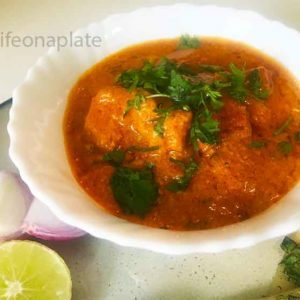 From the lanes and by-lanes of the North and Punjab, this dish has traveled towards the West in India and made its place amongst the very favourites of the masses here in Mumbai too. 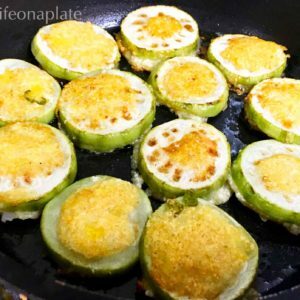 Full of proteins, this is a never-fail recipe, especially when you have fussy kids at home! 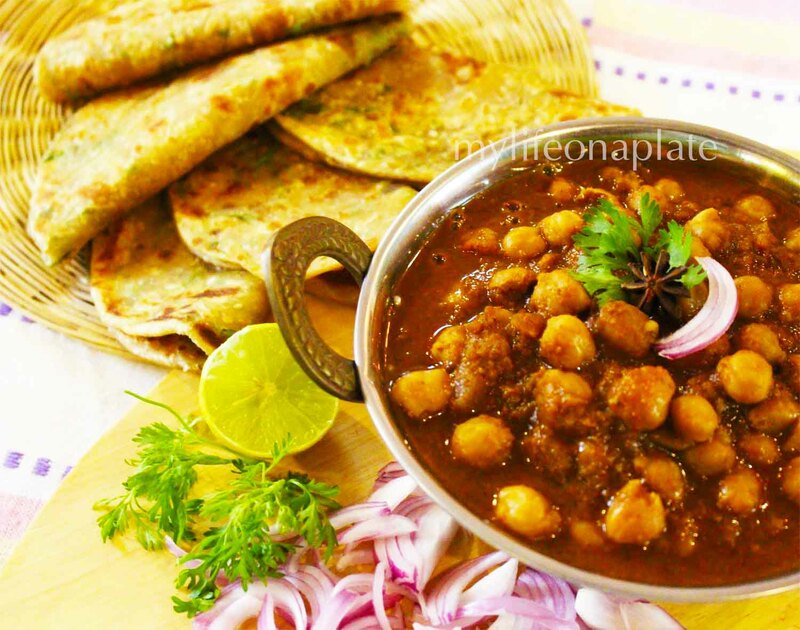 Posted here are Chole served with mini Bhaturas in some pictures, as well as Pudina Paranthas in the others. Pressure cook the chanas which are soaked overnite, for 2-3 whistles. Remove them and keep them aside. In the same cooker, heat oil and add jeera, haldi, hing, red chilli powder. Saute on low flame. Grind together the onions, tomatoes, ginger and garlic in a mixie with some water. Now add this paste to the seasoning in the cooker and fry till the oil starts separating. 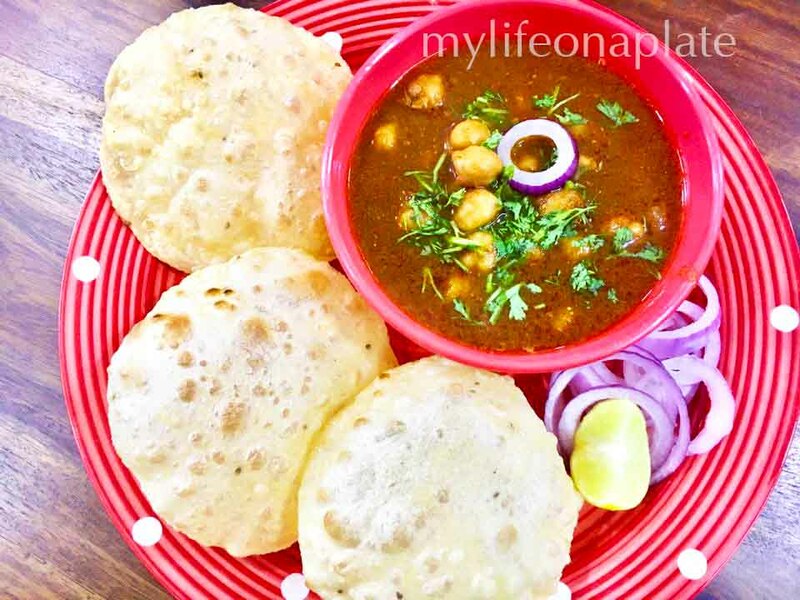 Put in the boiled chanas and all the remaining spice powders, along with salt to taste. Put on the cover and pressure cook again for one whistle. 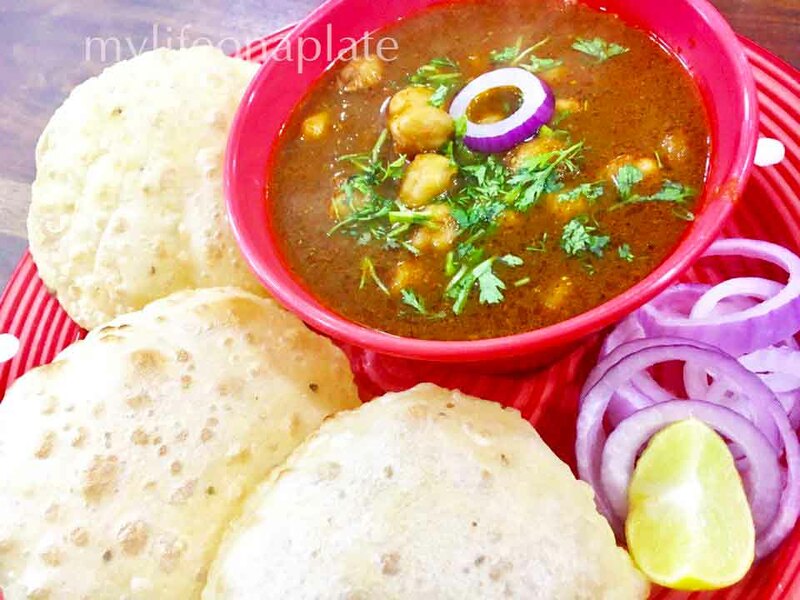 Serve hot with either Bhaturas or Parantahs, with sliced onions and a piece of lemon.